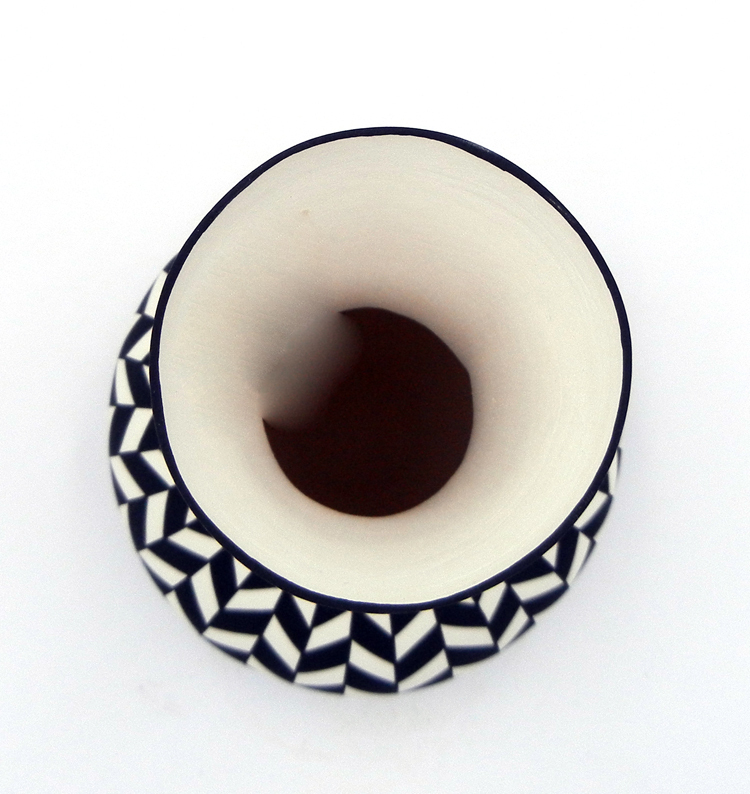 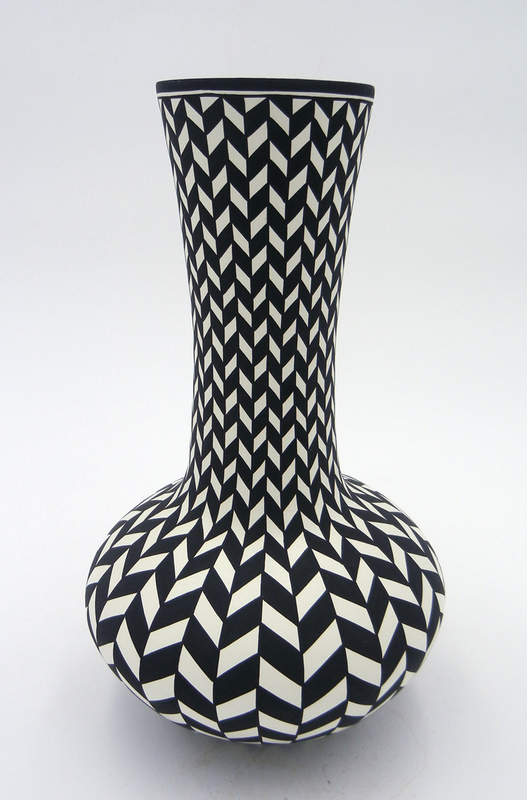 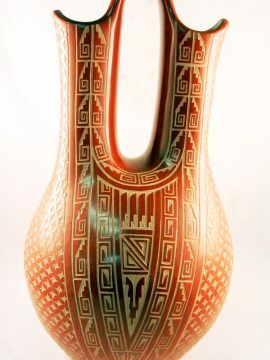 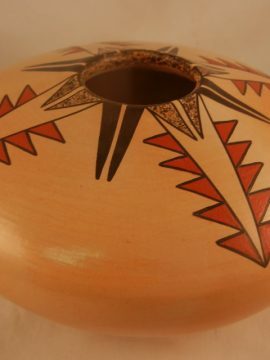 Taking on an absolutely stunning form, this handmade and hand painted vase by well-known potter Paula Estevan features a long neck and black and white eyedazzler design. 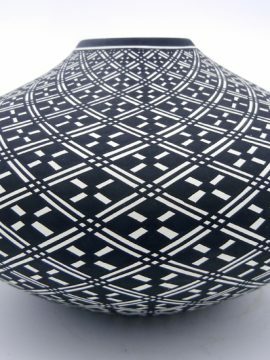 Alternating, diagonally painted black and white panels wind their way down longer, vertical panels across the entire surface of the piece, creating a truly mesmerizing effect. 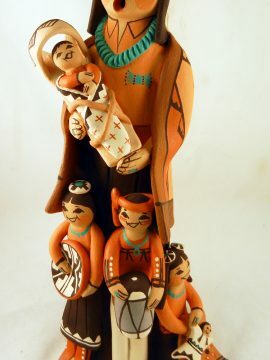 10″ tall x 5 1/2″ wide.